I have been shopping, dipping in and out of Sephora and Bloomingdale’s, to pick up beauty “essentials” like err, cream eyeshadows? There is a nice mix of the good, bad and the sublime in this little stash so I thought it would be nice to share my latest acquisitions with the group. Now I swear by coconut oil purchased from the aisles of my supermarket but every now and then I need to mix it up so I thought I would go all high end and purchase this. It’s nothing special really – it works as efficiently as a coconut oil/any oil would and smells identical to the Dermalogica Pre-Cleanse (at least in my mind) but it’s a good mineral-oil free commercial cleanser. There is something very generic about this – one of those bog standard facial washes with gritty little “bits” that are meant to gently scrub away dry skin day-after-day. Nice idea but for me it’s all a bit “St Ives Apricot Scrub” at a far higher price point. I saw Vanessa and Stacey’s haul and I immediately planned a purchase of one of these. I got 20E (seriously, MUFE could you be less clinical with the name? ), a pearlized taupe (Jessica has great swatches here – Link!). These are magnificent. Really they are. They don’t budge and deposit a nice amount of pigment. 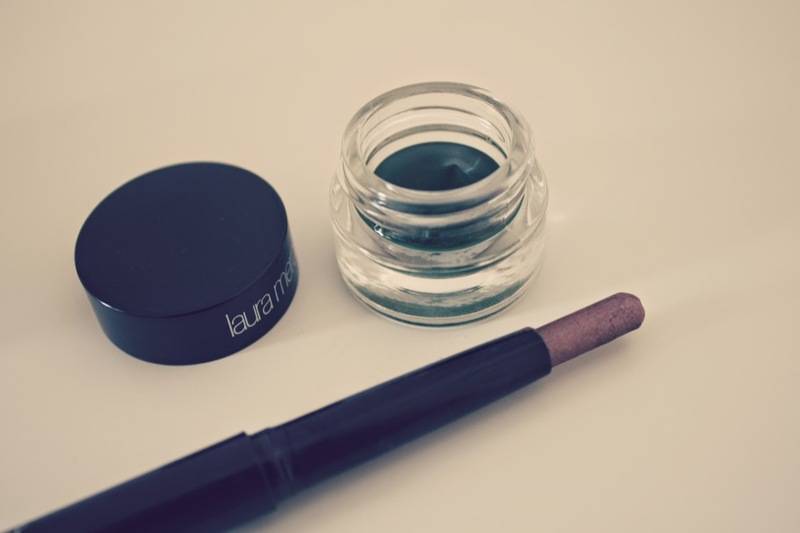 I don’t find them as creamy as the Laura Mercier Caviar Stick I refer to below but I also find that they last a lot longer than that brand when worn over the lid. What a delicious colour this is. It’s basically like MAC Sable in liner form when swatched. Sadly this does not translate well on my eyes. Barely anything reveals itself on the waterline and a rigorous application anywhere else around the eye barely shows up. Oh yes, a little MAC pick-me-up was had. Cheeky Bugger is a gorgeous yellow-based pink, encased in pretty lilac packaging, and with a great name. I can see why this sold out so quickly elsewhere around the world. Did I need it? What do you think…? Do I rate it? Yes. This is my favourite foundation. This purchase constitutes pot number 3 and for reference I got it in the shade Sand. I would recommend this to anyone with dry, dehydrated, normal or mildly combination skin and only for those that like a dewy full coverage finish. Think MAC Studio Sculpt or Laura Mercier Silk Crème, but better – full on perfect plastic skin. This is also now available in the US - Link! Another YouTube related purchase, I saw Monika’s tutorial and loved the look so much that I convinced myself I needed this. It’s smokey mauve with a subtle gold shimmer running through it. I wear this on the lower lash line and in the outer corner over the top of Mythology. I have yet to wear it on it’s own all over the lid and my reticence is partly explained by the reviews that talk about it’s creasing ability. We’ll see but the creaminess has me impressed and out of all the “stick” products out there, this might be my favourite formula for it’s soft deposit of colour. You may remember me talking about this in a recent wishlist post. Well here it is and the colour is strongly reminiscent of MAC’s Shade fluidline and that make me very happy. My only whinge is the formula of the Crème eyeliner – it’s really is just too creamy. Previous experience has taught me that this is just a few weeks away from being perfect – like some mascaras, this needs a dedicated Drying Out Period and then we will be the best of friends. Phew! I quite enjoyed doing that round up. Thank you for reading! Hope you are all having a great Saturday! I have not tried the facial oil yet, sounds lovely though. I have been using the exfoliating scrub for a while and it works great for my sensitive skin. Great hauls. So glad you like the MUFE Aqua Shadow pencil, I need to replace mine as is been sharpened to oblivion now! I love this style of haul-and-review!! I am also a big fan of Laura Mercier's Caviar sticks. Amethyst is great, and I like it much better than By Terry's Ombre Blackstar in Misty Rock because there's just less in-yer-face glitter. I bought two new ones today too: Copper and Burnished Bronze. I agree with you on the cream eyeliners; I have Espresso and for the first few uses it just gently melted away. It's much better now! me too! I really want this! 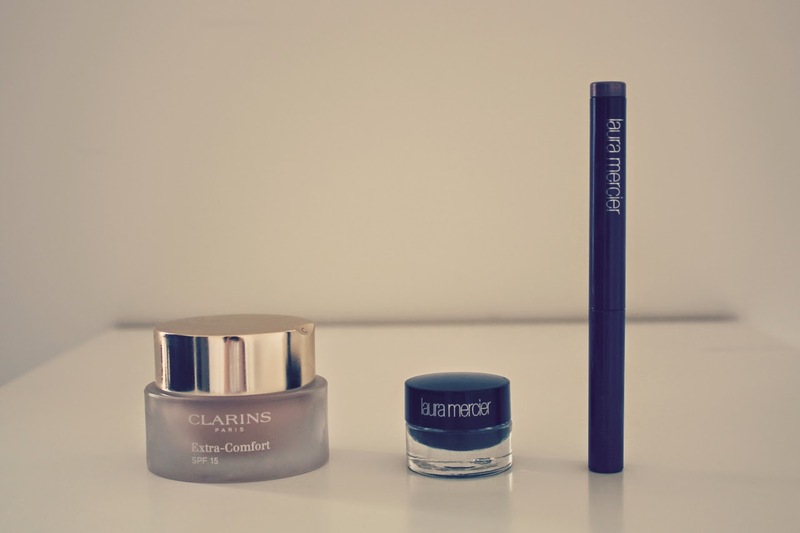 Love your justifications for buying these items haha, lovely post as always making me very envious of your make up collection..
God, that lob looks amazing on you! Personally, I love philosophy's scrub. No plastic microbeads (unlike St. Ives' scrubs, which are the literal worst), and it's gentle enough to use every day. I use it first in my skincare routine. I bought one of the MUFE Aqua Sticks ages ago (4E, a matte dark grey/taupe colour). It's creamy enough, but you have to work super fast if you want to blend it out any because they set quickly. I must try the Clarins extra comfort, if you've re-purchased 3 times then you know it's good! You have some lovely products here, I really need to try the Laura Mercier caviar stick. The colour is beautiful. This makes me want to go shopping, ah stupid shopping ban! Ahhh that old chestnut. "I was on my way to Waitrose and..." then I got distracted at every shop along the way. I feel your pain. Must. Restrain. Purchase. Sold!!! I really need to get that Clarins foundation. I love this style of haul... quick and down to the point. Caviar stick from Laura Mercier looks so nice! The MAC packaging was so cute. Lovely buys! I have the MUFE shadow stick and love it although I don't wear it as often as I should! Yes! I finally found someone who thinks the same about the philosophy scrub! I'ts basically st ives with a bigger price tag. Why did you decide on using coconut oil , is it really that magical like everyone says? Great finds and you look great with short hair!